Atelier Ten were lighting designers for the fit out of a four bedroom apartment within this prestigious serviced apartment block. We worked with the renowned interior designers Andrew Winch Designs and the Architects TP Bennett to produce a highly integrated lighting scheme. 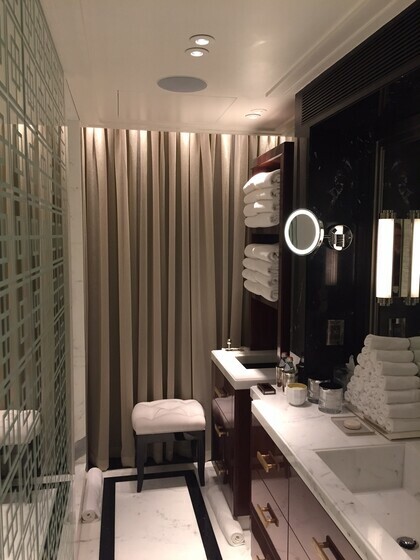 Miniature LED spotlights provide accent lighting to the drapes throughout the apartment. 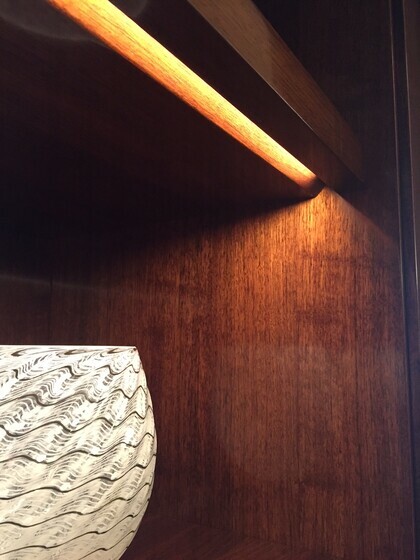 Linear LED is beautifully integrated within joinery and marble to brighten shelving and highlight art pieces. 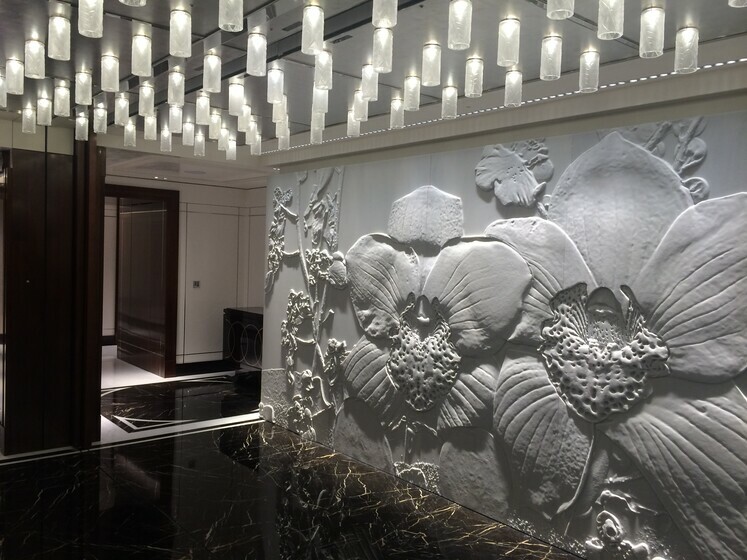 Within the entrance to the apartment a renowned Artist was commissioned to create an impressive carved marble work, Atelier Ten worked with the artist to beautifully illuminate the piece with lensed LED to bring out it’s texture and form. A first for Atelier Ten was a fibre optic “star” ceiling within polished plaster. Although this was a highly labour-intensive installation process the effect is very impressive, with the tiny fibre points undetectable until they are turned on. As well as being highly integrated the lighting scheme is extremely efficient using the latest LED sources. A Lutron control system was specified using the DALI addressable protocol. At the time DALI control of residential lighting was not at all common. The decision was however well conceived, as the DALI has enabled the Client to reconfigure the lighting control to suit their use of the spaces. A state of the art whole house control system was installed which gives intuitive user control of the lighting as well as other audio visual systems from iPads and touchpanels.